Intel has serious intentions concerning the smartphone market, as its CES 2012 keynote has revealed. Paul Otellini, President and Chief Executive Officer of the company, has revealed Intel’s plans, and they involve Intel-powered smartphones. The first one has been shown at CES 2012. It’s the Lenovo K800 and it will only be available in China at the moment. It will run Android 4.0 and uses the Intel Atom Z2460 CPU. It also has a 4.5 inch 720p display. 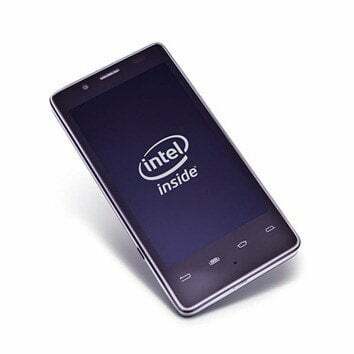 Intel has also shown an “Intel Reference Design Smartphone” (pictured), in order to allow everyone to see what they’re talking about. It had a 4.03 inch touchscreen, an 8 megapixel camera, but the groovy part concerns its energy efficiency. Intel says it allows a standby time of 14 days, as well as 8 hours of 3G talk time. Mobile entertainment fans will be happy to hear about 6 hours of HDMI 1080p playback and 45 hours of audio playback. I for one can’t wait to see something similar on the market. Another interesting smartphone announcement was the one concerning Intel’s partnership with Motorola. The second half of 2012 should be interesting one from this point of view, as the first smartphones the two companies will develop together should be out. These devices will use Intel Atom processors and the Android operating system. The collaboration will also involve tablets. Here are some of the key moments from the Intel CES Keynote. Looks like some exciting things are coming from Intel. But are they too late? As with everything, time will tell.